While many of today’s luxury cars are equipped with remote starters, most economical options do not offer this convenient feature. A car remote starter is very simple to use and offers several benefits. While it looks similar to a regular key, a remote starter allows you to lock and unlock your car remotely, as well as start your car from the convenience of your home or office. Promoting engine safety and comfort, a car remote starter allows you to warm up or cool down your car’s interior before you even enter your vehicle. When choosing the remote starter that is right for you, you have three options from which to choose. The 1-way remote starter is the most popular model. This model allows you to start your car, lock it and unlock it remotely. The 2-way remote starter not only controls the functions of the remote, but it also receives messages from your vehicle. It allows you to observe your vehicle remotely, and alerts you when your car alarm has been triggered. The third option is controlling your vehicle through an app on your phone or tablet. 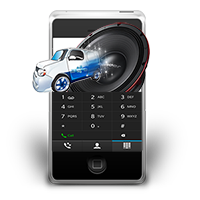 Providing the car remote start installation Atlanta drivers trust, we at Drops Mobile Electronics have experience in providing the proper installation of all remote starters. Whether you already have a car remote starter that needs to be installed, or you would like assistance in choosing from one of our trusted models, the experts here at Drops Mobile Electronics can ensure efficiency and excellent service. In addition to ensuring the proper installation of your remote starter, we can equip your car with keyless entry. Easily lock and unlock your car with the touch of a button, even from the comfort of your home. Proudly ensuring the proper remote starter installation Atlanta has relied on for 15 years, Drops Mobile Electronics provides excellent service by meeting our customers when and where it is convenient for them. As a mobile company, we take the difficulty out of the installation process by eliminating the need for driving to a shop and waiting hours for service. We have experience installing remote starters in all types of vehicles, including cars, trucks, and RV’s.